Numerous research studies have been conducted on deodorants and whether or not they can cause health problems. Many outcomes have provided contradictory results, indicating that more research is needed in this area. 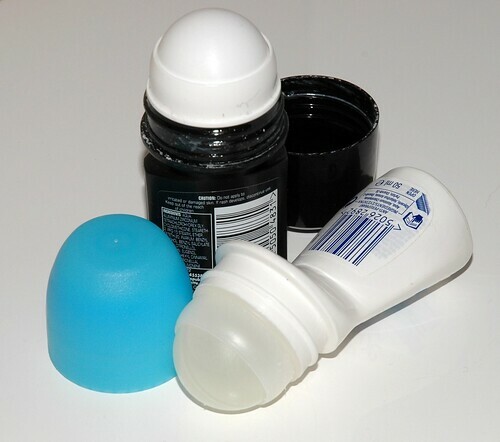 The main active compounds found in deodorants and antiperspirants are normally aluminum based. They work by forming a barrier between the sweat ducts and the outer skin, therefore decreasing the appearance of sweat production. Some studies have suggested that these compounds are troublesome since they are continually reapplied and left on, and are capable of being absorbed through the skin and into the system. Some examinations have posed questions around using deodorants and whether or not there is a correlation between the absorption of the used compounds, estrogen levels and breast cancer. Parabens are another ingredient found in many products, including some deodorants. These are preservatives that have been found to simulate estrogen activity in cells. Parabens have been studied due to the concern that they may build up in breast tissue. One study discovered that out of 20 samples that were taken from tumors, 18 contained parabens. This particular study did not look into if they came from deodorants or other products, nor was a connection established that they may be the problematic source since other key areas were not analyzed. Many companies in the U.S. no longer use parabens in their antiperspirants and deodorant brands. Other concerns, like causal factors involving Alzheimer’s disease, are also being looked at. Though the jury may still be out on the safety of some of the ingredients found in body deodorizers, more inquiries will surely be conducted. If unsure of the ingredients in your brand, try making your own. It really isn’t complicated, and a lengthy recipe list isn’t needed. Sugar Bananas has a natural deodorant recipe using only a handful of ingredients, including baking soda, cornstarch, organic coconut oil and other essential oils like lavender or tea tree. Wellness Mama offers 2 different homemade deodorant versions, minus the questionable chemicals but using Shea butter and organic arrowroot. These can be kept in covered glass containers or placed in an empty deodorant stick and refrigerated until solid. Smelling good shouldn’t have to be controversial.